1 : 1183000 Hammond, C.S. 1 : 1850000 Goodrich, S.G.
1 : 1900000 Bradford, Thomas G.
1 : 1300000 Lucas, Fielding Jr.
1 : 4752000 Henshaw, Frances A. 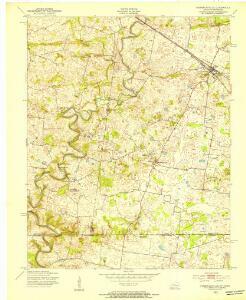 1 : 2500000 Tanner, Henry S.
A map of Kentucky, drawn from actual observations by John Filson.